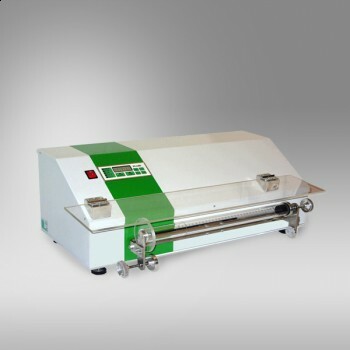 Sand Equivalent Shaker is used for the uniform shaking of Sand Equivalent Measuring Cylinders (2pc simultaneously), at a specified rate and stroke. The horizontal movement, cycle and shaking time is defined on the shaker to comply with EN standards. The shaker is supplied complete with a electronic controller which allows to set a 10 programs with different times and number of oscillating excursion.